As we shared last year, President Obama has made college affordability a priority of his Administrationâ€™s education agenda. To better combat the increasingly high costs of higher education, the President has proposed a college ratings system which would link federal financial aid to institutional performance on a variety of measures. Metrics such as average tuition, loan debt, graduation rates, and graduate earnings have all been suggested as possible ways to measure how effectively postsecondary institutions are utilizing federal financial aid. The Administrationâ€™s proposed ratings system, known officially as the Postsecondary Institutional Ratings System (PIRS), has been open to formal comment by the public since last December. Since then many institutions and associations have taken the opportunity to provide valuable feedback and insight for how such a system should be developed, what metrics it should or should not incorporate, and ultimately if such a ratings system is an appropriate responsibility for the Department of Education (ED) to take on. These wide-ranging responses can be found here. Many respondents voiced strong concerns regarding the potential negative consequences such a ratings system could have while others highlighted the transformative possibilities increased transparency could have on the postsecondary education marketplace. The Workforce Data Quality Campaign (WDQC), of which the National Association of State Directors of Career Technical Education Consortium (NASDCTEc) is a national partner, also issued a set of recommendations for PIRS. TheseÂ recommendations focused mainly on the importance of disaggregating institutional and program-level data, as well as how best to utilize employment and wage record data to gauge graduate outcomes. The proposed ratings system is complimentary in nature to the Department of Educationâ€™s ongoing efforts to develop stricter regulations regarding â€œgainful employmentâ€ in vocational education programs at community colleges and for-profit institutions. More information on those efforts can be found here. As these dual initiatives continue to take shape, NASDCTEc will continue to track and monitor the progress of these efforts and their potential impact on CTE throughout the country. Career Technical Education (CTE) was a central component in the Senatorâ€™s remarks and he used a CTE program in Miami as a successful example for his proposed reforms. â€œWe should make career and vocational education more widespread and more accessibleâ€ he said. â€œFor instance, here in Miami, the local school district has partnered with a car dealership to create an innovative approach to career education. . . When they finish high school, they graduate not just with a high school diploma but with a job-ready industry certification from an automobile manufacturer.â€ Senator Rubio went on to highlight the importance of apprenticeship programs and business and industry partnerships as strategies for expanding the development and access to high-quality CTE programs. NASDCTEc applauds these encouraging remarks from Senator Rubio and looks forward to working constructively on ways CTE can further promote the shared economic opportunity he has called for in this speech. A full transcript of the speech can be found here and a video can be found here. Yesterday, Senator Mary Landrieu (D-LA) introduced the Jumpstart Our Businesses by supporting Students (JOBS) Act (S. 2033). 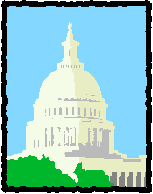 The proposed legislation would amend the Higher Education Act (HEA) to expand eligibility for the actâ€™s Pell Grant program. Under current law the Pell Grant programâ€” like other federal financial aidâ€” is not available to students taking â€œnoncredit courses.â€ Postsecondary CTE programs, which typically offer certifications or other postsecondary credentials, often fall under this category. Current program eligibility requirements have a minimum seat-time of 300 instruction hours over the course of at least 16 weeks. This frequently leaves out short-term postsecondary CTE programs which are essential to equipping students with the relevant skills needed for the 21st century economy. Senator Landrieuâ€™s bill would expand Pell Grant eligibility to students enrolled in CTE programs by reducing current time-related eligibility requirements by half (150 hours of instruction over a minimum of 8 weeks). As Senator Landrieu pointed out, â€œThe JOBS Act makes a smart update to expand the eligible uses of Pell Grant funding for short-term job training so we can build a strong and skilled workforce to fill the thousands of jobs that are being created in Louisiana and are currently empty.â€ NASDCTEc strongly supports this legislation and is encouraged to see a renewed focus on expanding access to postsecondary CTE programs for those who need it most. This entry was posted on Friday, February 14th, 2014 at 4:31 pm	and is filed under Legislation, News, Public Policy. You can follow any responses to this entry through the RSS 2.0 feed. Both comments and pings are currently closed.